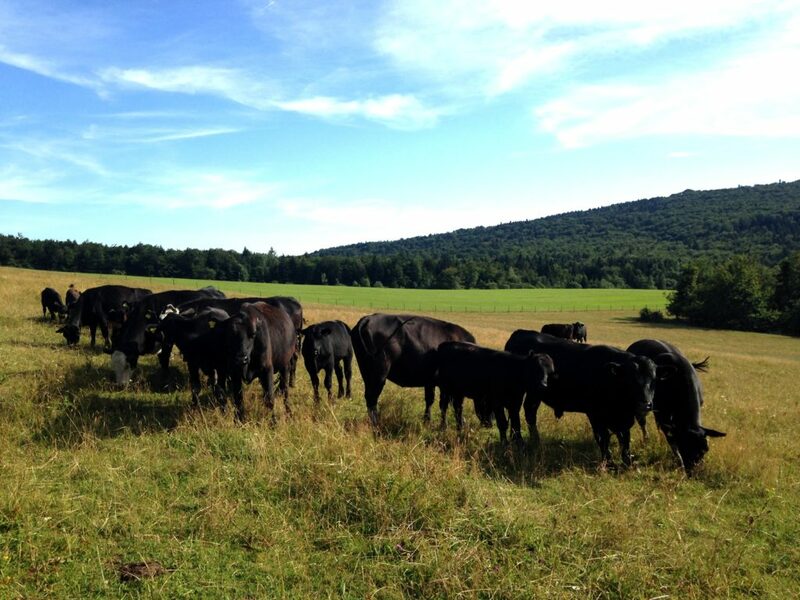 Our herd includes more than 90 Aberdeen Angus animals. Aberdeen Angus is a Scottish breed of beef cattle, resistant to unfavorable climatic conditions and diseases, easily adapted to different environments. It is a one-color cattle, black, polled. Aberdeen Angus is one of the most valued beef cattle breeds in the world, and its rearing, fully ecological, is one of our farm’s assets. If you are interested in purchasing cattle, please contact us by phone, e-mail or using the contact form in the Contact tab.